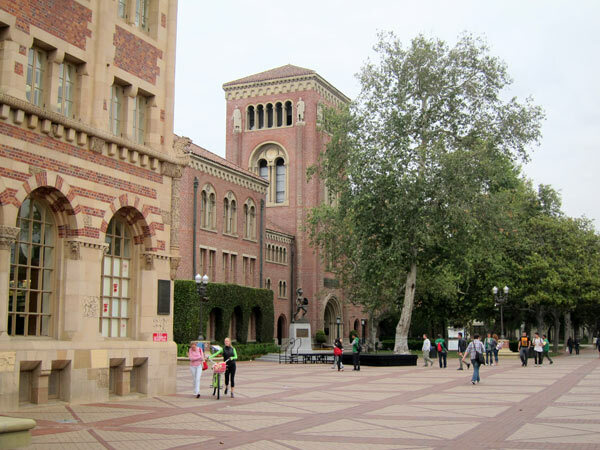 Considered the oldest private research institution in the state, the University of Southern California (USC) is located two miles southwest of downtown on a 226-acre urban campus. It was founded by Judge Robert M. Widney, who in 1879 secured three gifts totaling 308 city lots adjacent to Exposition Park to create the new campus. 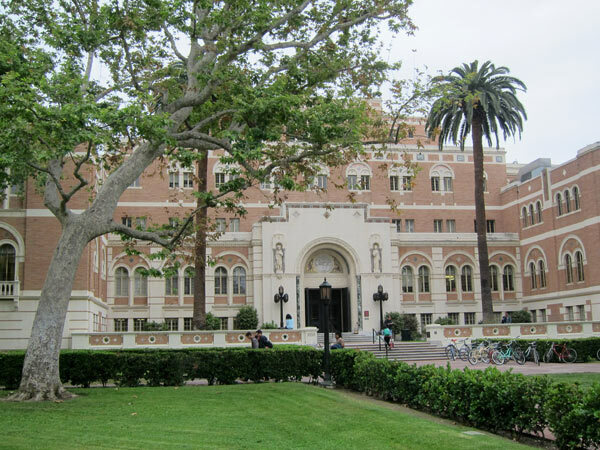 The first general campus plan was created by the firm Train and Williams, Architects, but was quickly succeeded in 1919 by a Beaux Arts-style master plan by architects John Parkinson and Donald Parkinson. 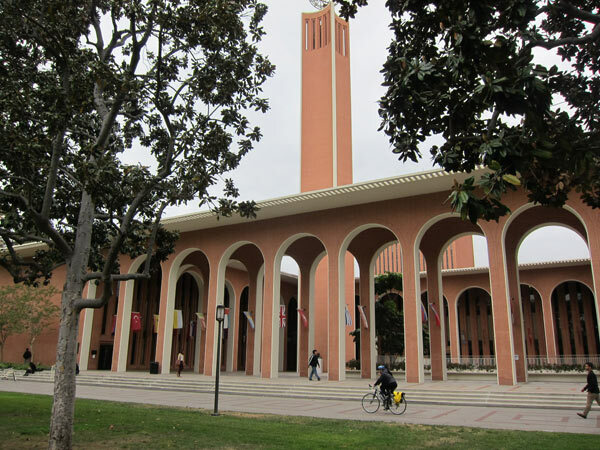 The plan connected the university to Exposition Park via a series of Italian Romanesque buildings along University Avenue and bridges crossing it. 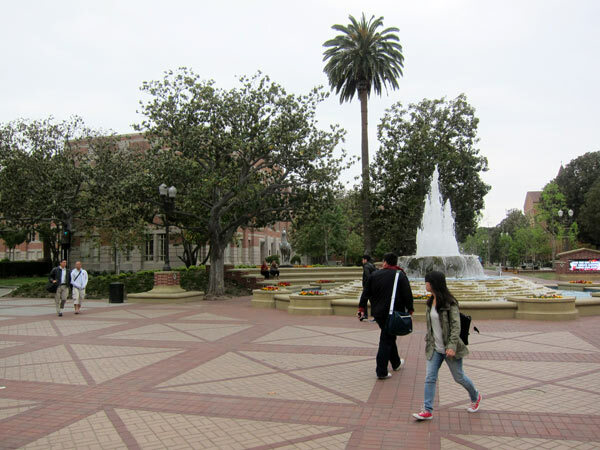 Additional land was acquired through the 1920s and 1930s during which time numerous structures were built, including the Doheny Memorial Library in 1932 landscaped by A.E. Hanson and the Mudd Hall of Philosophy in 1930 with a courtyard designed by Charles Adams. Starting in the 1950s high-rise towers were built in interstitial open spaces, designed by notable Modernist architects such as Albert C. Martin and Associates, Edward Durell Stone and A. Quincy Jones. 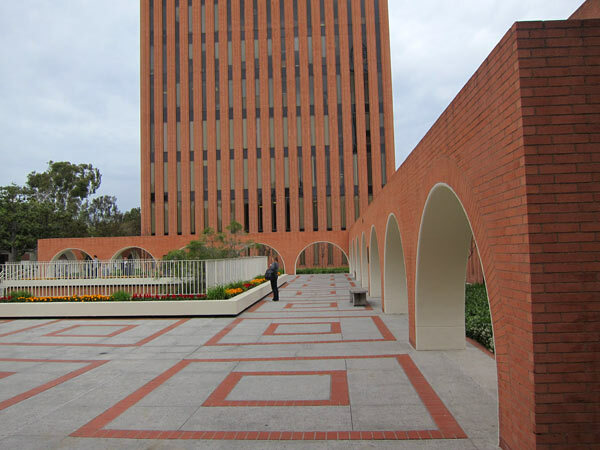 In 1961 and again in 1966, the architecture firm William Pereira and Associates developed a master plan that aimed to improve pedestrian access and unite the campus as a whole, with buildings arranged around quadrangles and an increase in recreational outdoor space. 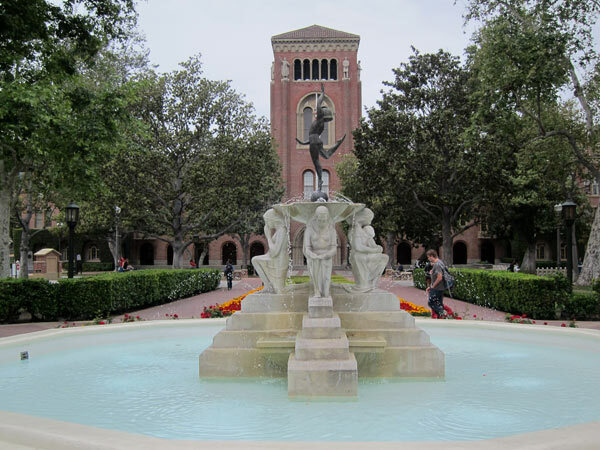 From 1951 until 1988, landscape architect Emmet Wemple taught at USC and was influential on the campus landscape.